"Hindenburg" was not an especially popular name among the American soldiers in 1918. 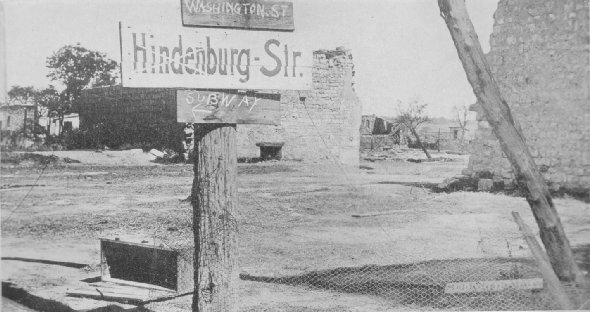 After the Germans had been driven out of this ruined village, the street was renamed by the Americans and called "Washington Street,"
Camouflage to the nth degree. The art of concealment, termed "camouflage" by the French, was highly developed in the war. 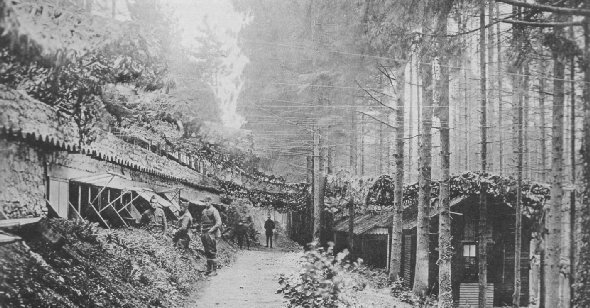 These dark and dirty vermin-ridden quarters were 26th Div. Hdqrs., Sommedieue, France, Aug. 31, 1918.